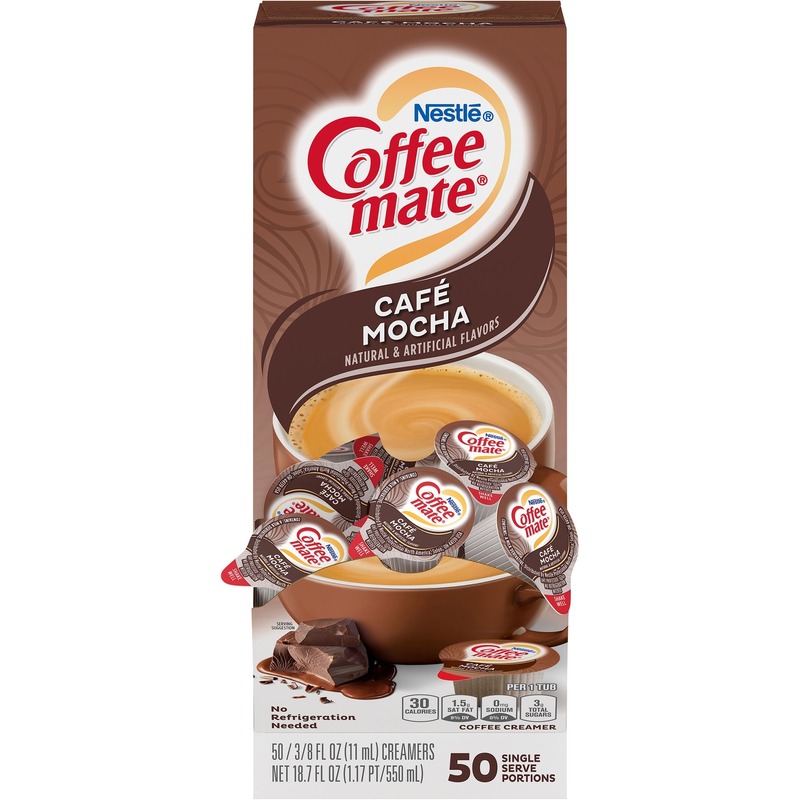 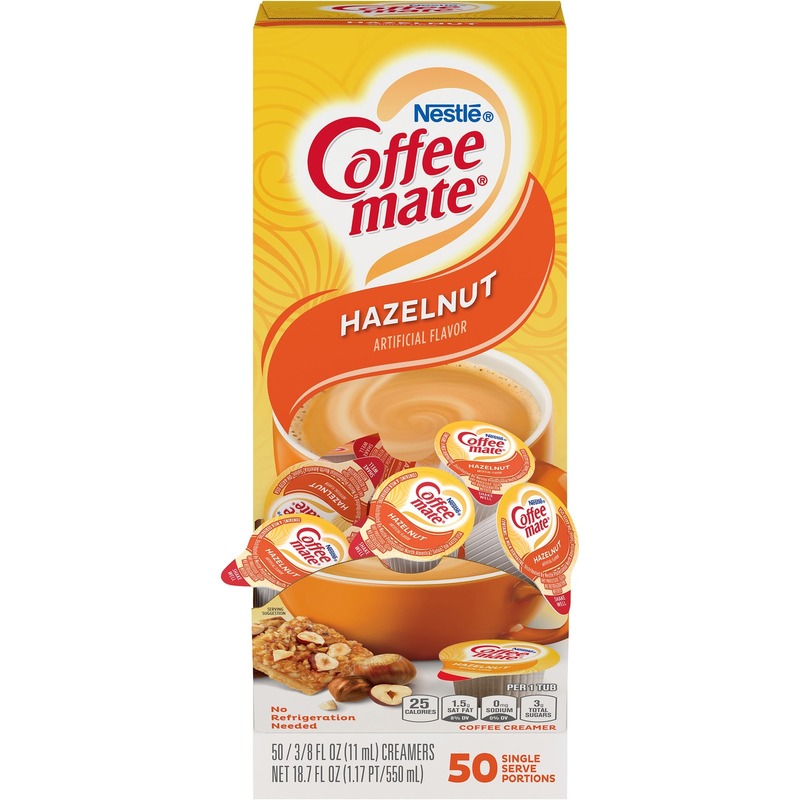 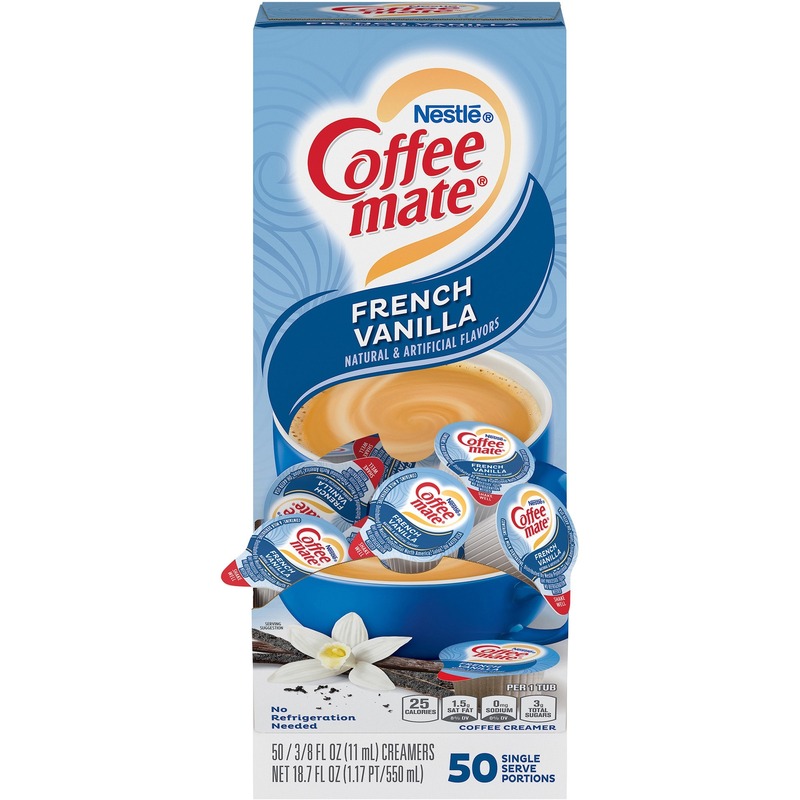 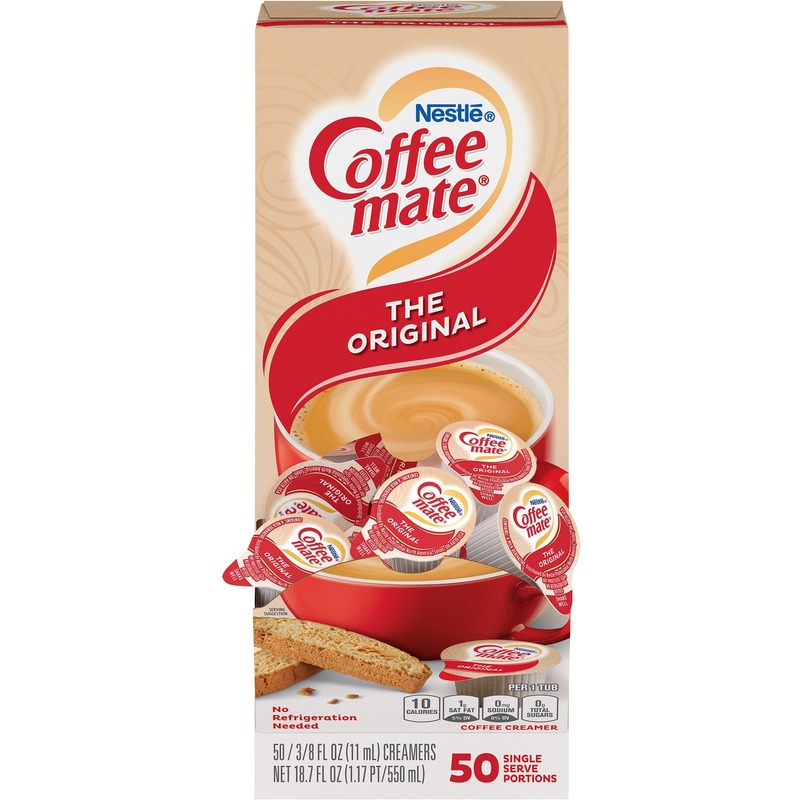 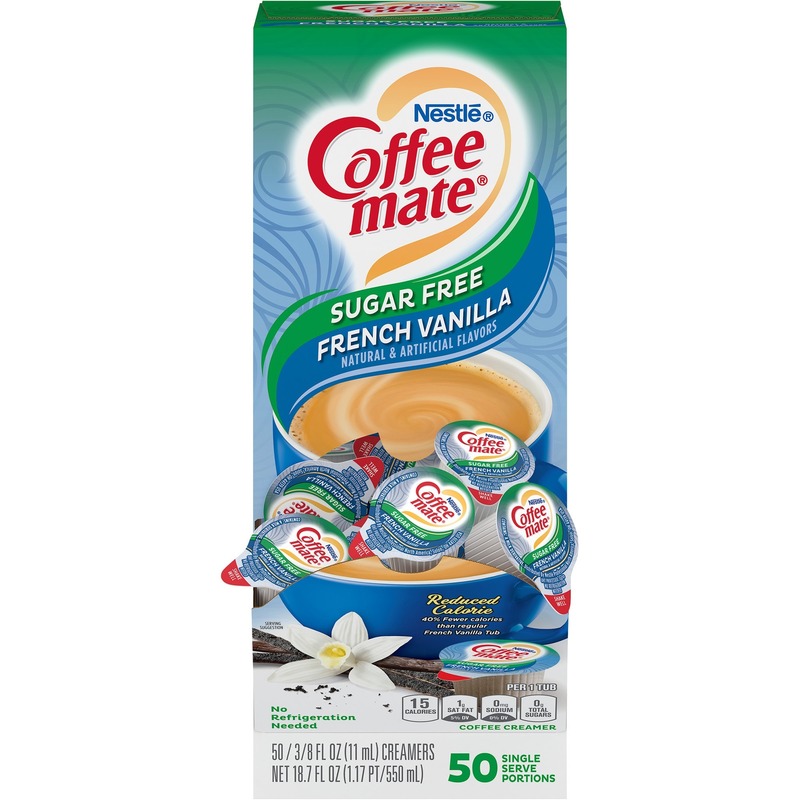 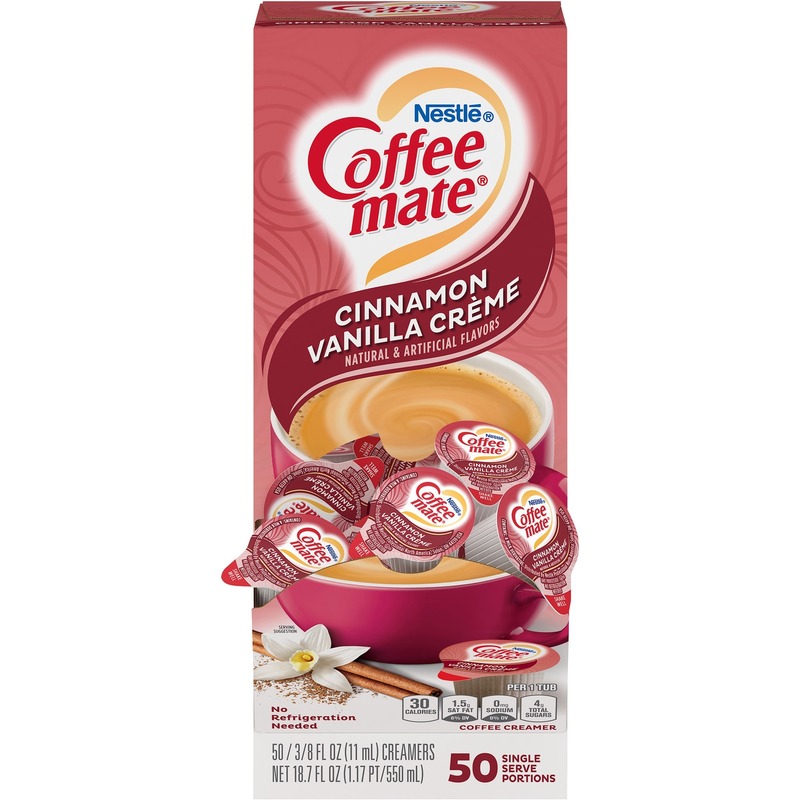 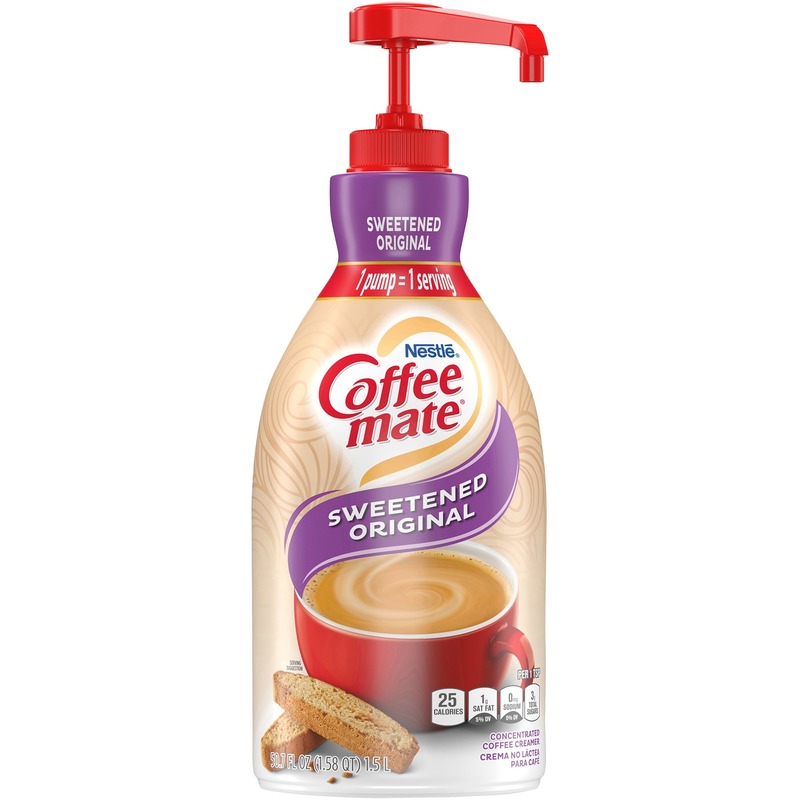 Delight your employees, customers and guests by offering Coffee-mate liquid creamer in your workplace, breakroom or kitchen. 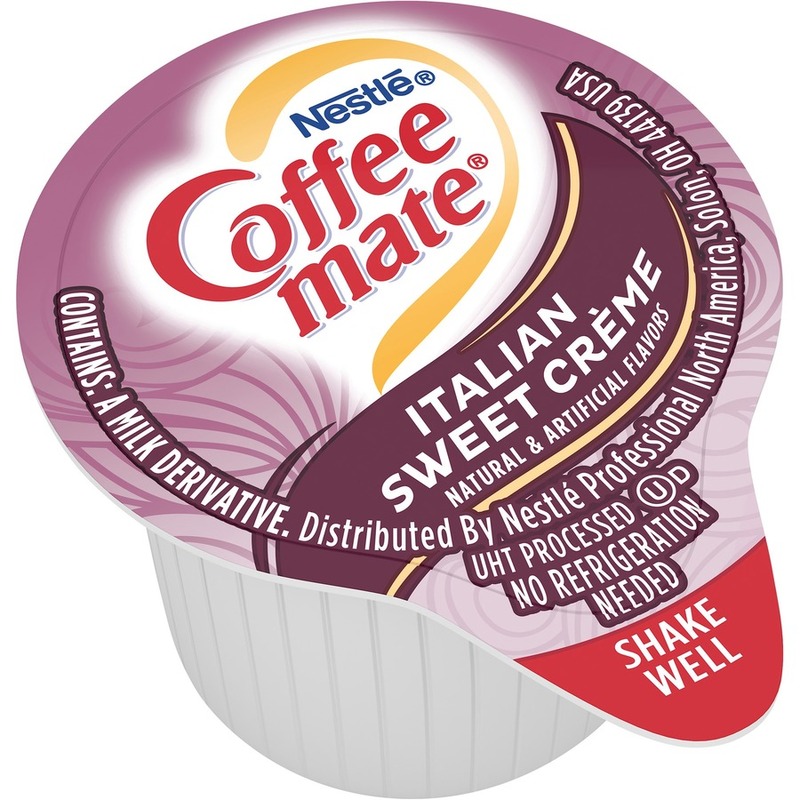 Italian Sweet Creme liquid creamer features the taste of rich gelato with just a hint of luscious buttercream frosting. 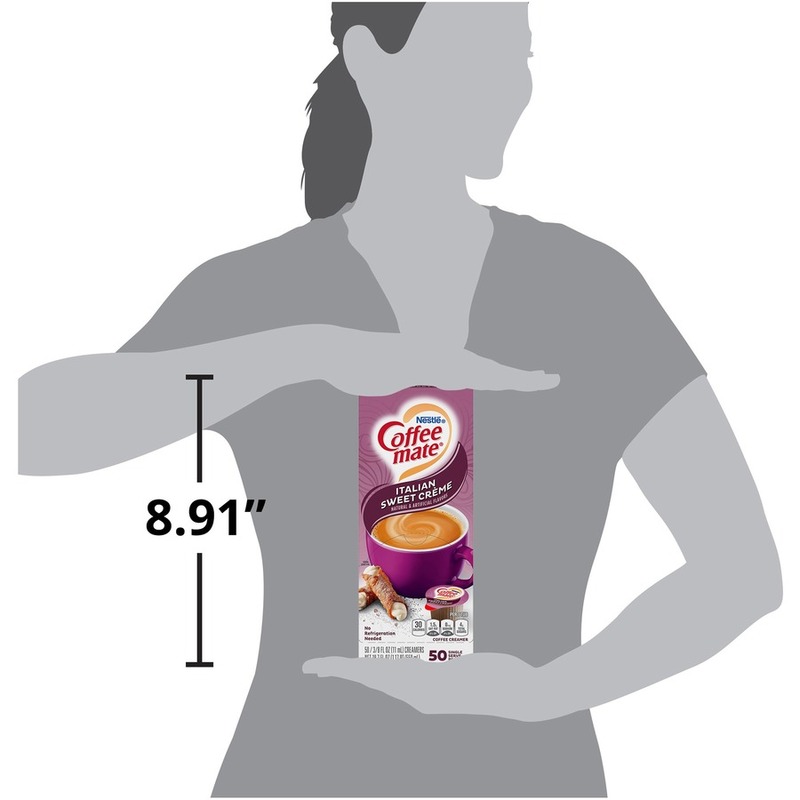 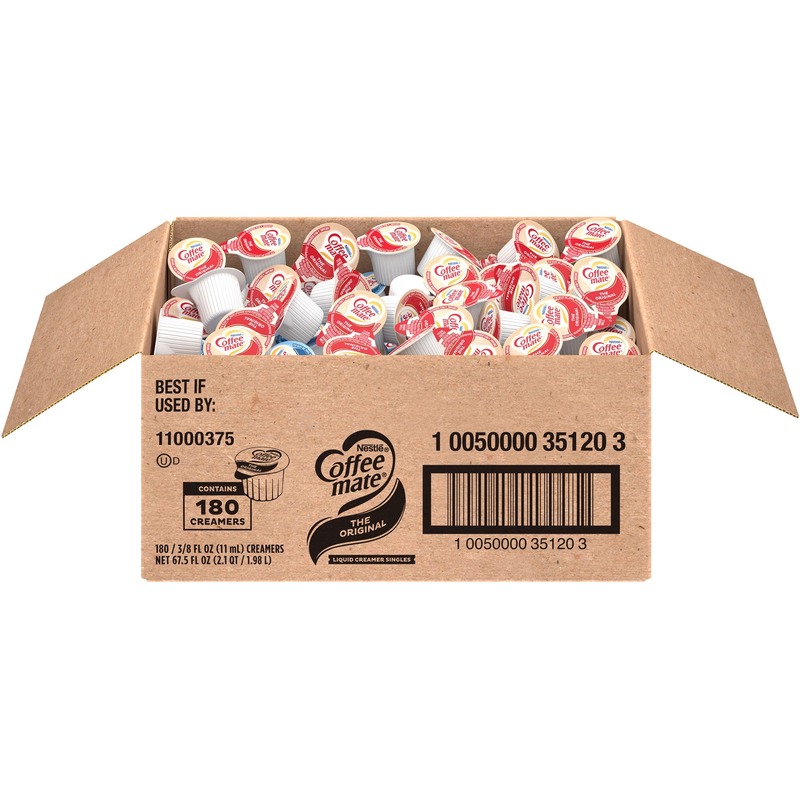 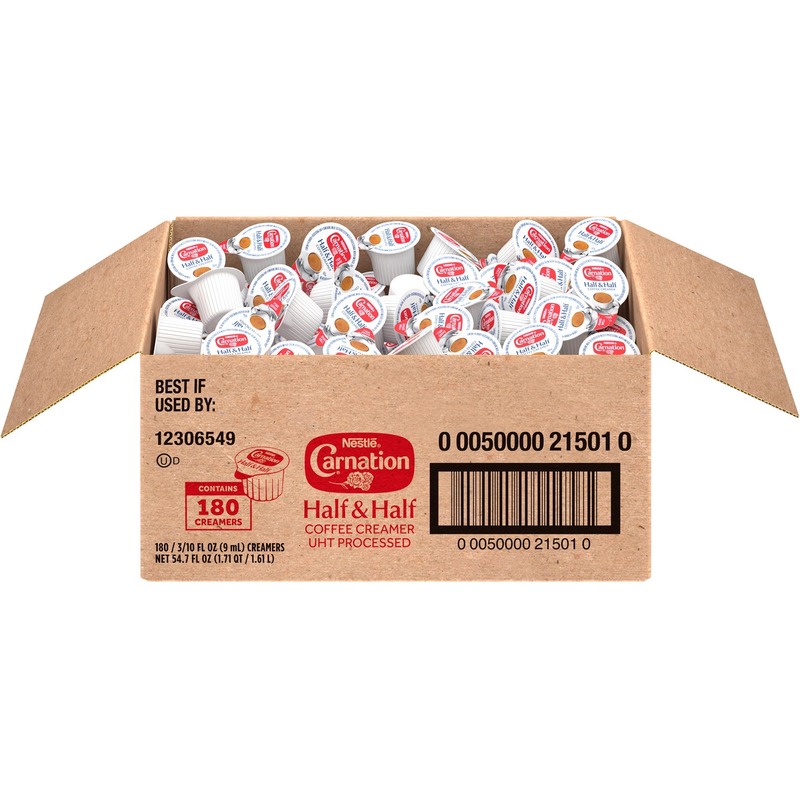 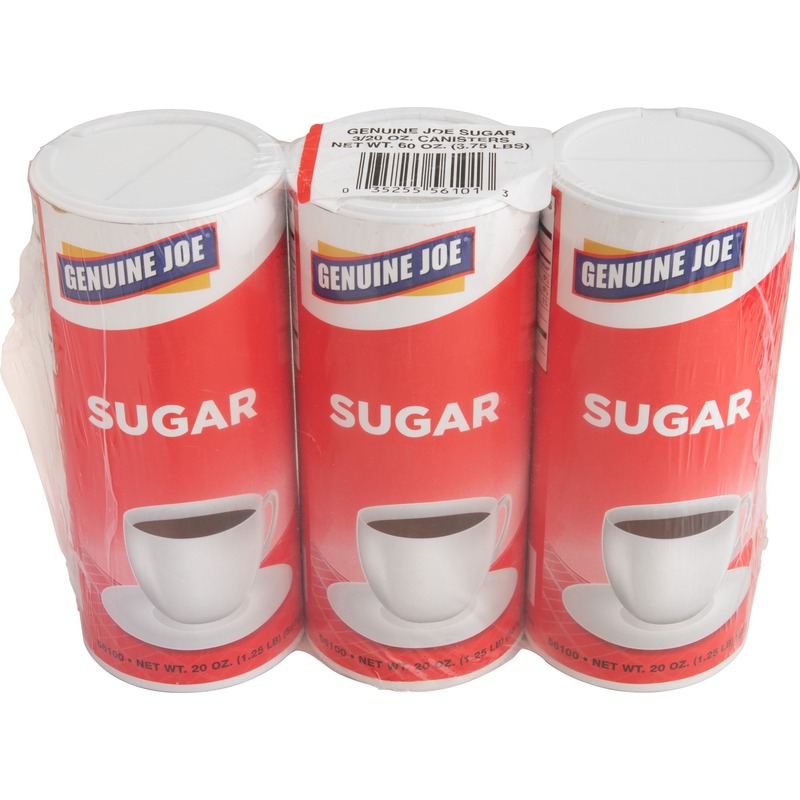 The single-serve cups in a convenient dispenser box are great for your breakroom or reception area. With this popular creamer in the office, everyone can enjoy coffeehouse indulgence without ever leaving the building. 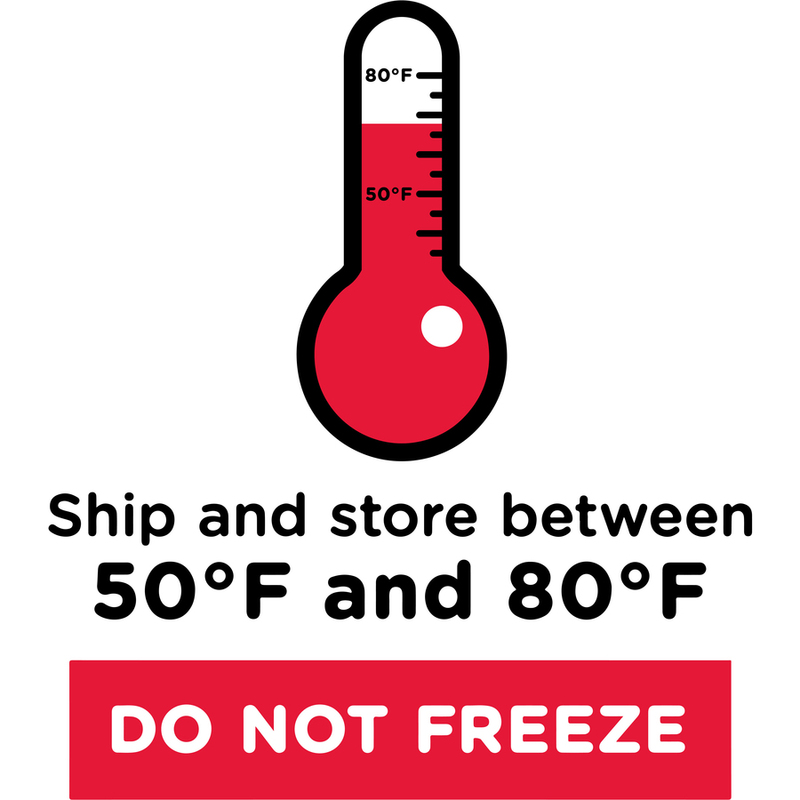 No refrigeration is necessary. 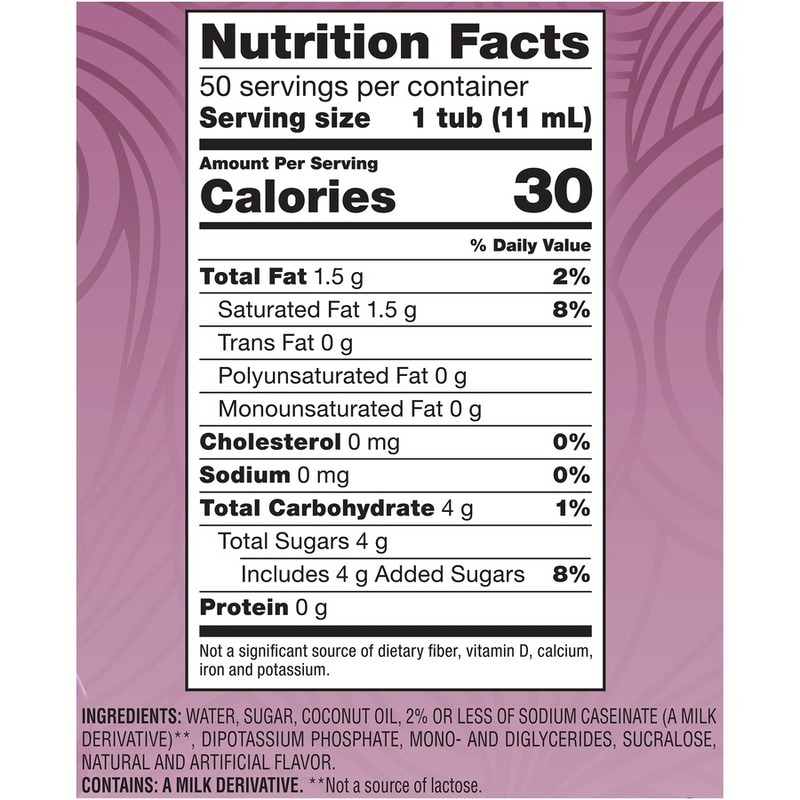 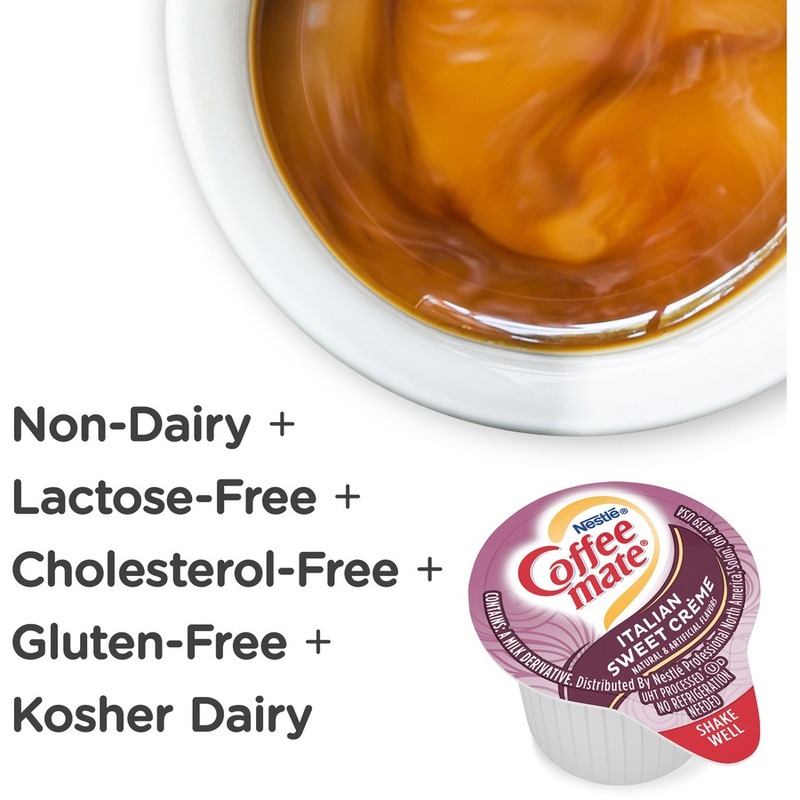 Creamer is Kosher Dairy, lactose-free and cholesterol-free.